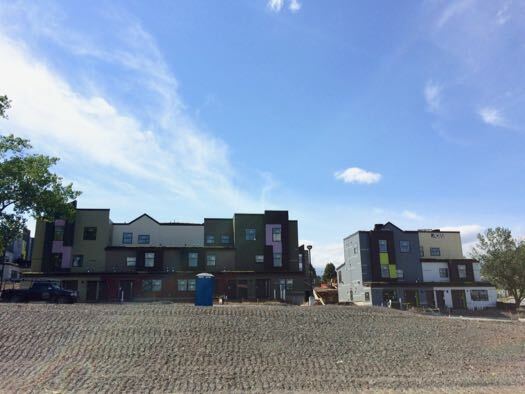 The first units in the first phase of the Ida Yarbrough Homes redevelopment in Arbor Hill are set to start renting this September. 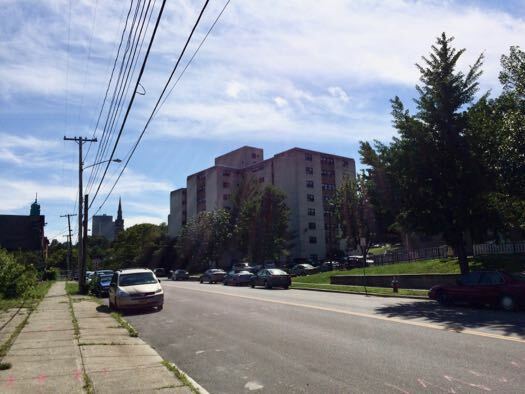 And the second phase of the Albany Housing Authority project made its first appearance before the Albany planning board last week. The Ida Yarbrough Homes currently sit on a piece of land at the corner of Livingston Ave and North Pearl Street. The first phase of the redevelopment is currently under construction -- you might have noticed the work along North Manning Boulevard near Ten Broeck. 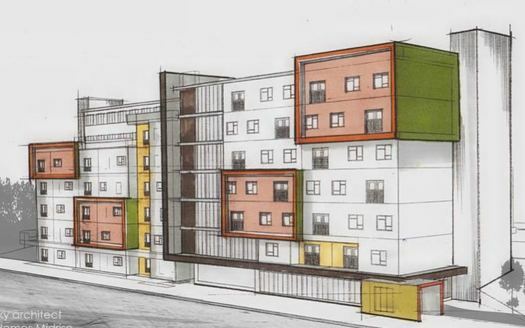 That phase will eventually include 63 units across 11 buildings. Occupancy of the first two buildings is planned for September, and completion of phase two is expected in November. Phase two -- the part currently up for review by the city -- would demolish six existing multi-family buildings and community center building to clear the way for two new residential buildings -- one 7-story building with 62 units (and a community room) and one 3-story building with 10 units. The two existing high rises at Livingston and Pearl, with 244 units, are set to remain. The AHA also has set aside a piece of land for potential owner-occupied homes in the future. One of the goals of the Ida Yarbrough redevelopment is to provide housing to people in a range of incomes. Roughly 40 percent of units will be set aside for households with incomes less than or equal to 30 percent of the area median income (AMI), another (roughly) 40 percent for households with incomes 50-60 percent of the AMI, and about 15 percent of the units will be set aside for households with incomes above 60 percent of the AMI. 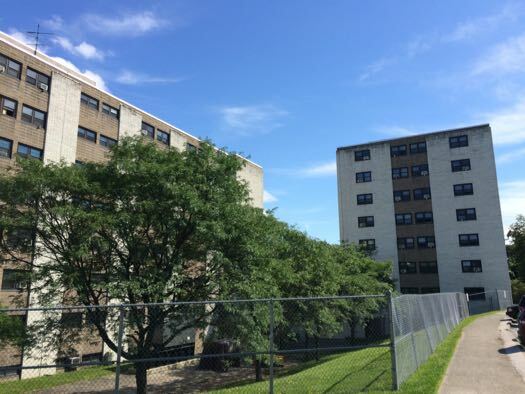 The Albany Housing Authority has pieced together funding for the project that allows it to rent units out to in phase two all the way up to 90 percent of the area median income, authority executive director Steve Longo explained to the planning board. The area median income for households in the Albany metro this year, as figured by the federal Department of Housing and Urban Development, is $83,100. There will also be unit set aside for people who need supportive services or have disabilities. Another interesting bit about the Ida Yarbrough project is that the architectural style of the buildings is decidedly modern. You can already see that in the near-complete phase 1 buildings -- their exteriors are collection of panels of different materials and colors, some of them very bright. And the theme continues in the rendering of phase 2. Said architect Dave Sadowski of the design to the planning board: "[It's] less like a shoebox, more like an inviting place to live." Another interesting design bit: The phase 1 buildings include living "green" roofs -- they were being watered with sprinklers when we walked by this week. 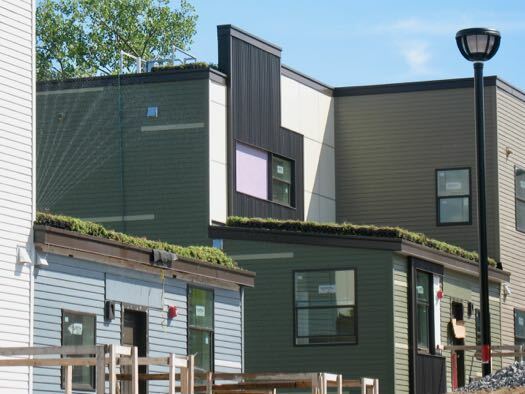 The roof upgrades were funded with a state grant, and reps for the project told the planning board they're seeking money to include green roofs in phase 2. The project appeared to get a generally positive reception from the planning board. Members did have a comments. 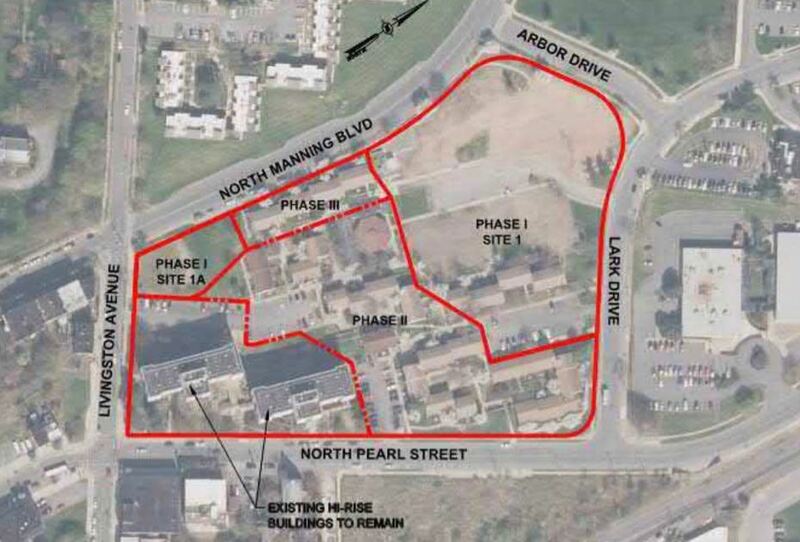 Martin Hull questioned the positioning of the parking lots relative to buildings, and expressed concern about how pedestrians would move through the site, noting that there would be many children playing there. 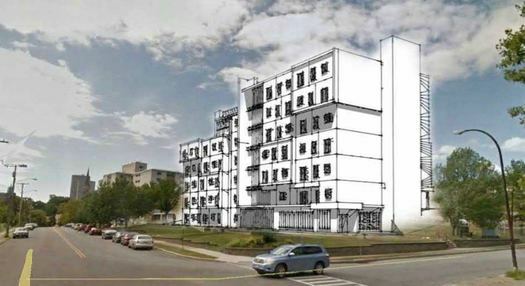 One twist about the project and the planning process: When work started on the design of phase two, the site was in a zone that allowed the seven-story building. The huge overhaul of the city's zoning that took effect this summer now has the project in a zone that caps buildings at five stories. So the project is seeking a variance for the height. There are some large format plans and renderings at the top from the planning docs -- click or scroll all the way up. I hope medicaid covers prozac. Yikes. looks good and i really like any emphasis on including input from and providing employment to the neighborhood. Great to see that our newly overhauled zoning code is already doing its part to discourage the development that the city so desperately needs. I hope this project gets a variance and that the rezone is reevaluated to be more permissive across the board. The project received the variances it sought at last night's (July 27) Board of Zoning Appeals meeting. Glad that this project will have mixed-income components, reminds me of Vancouver's very dynamic approach.